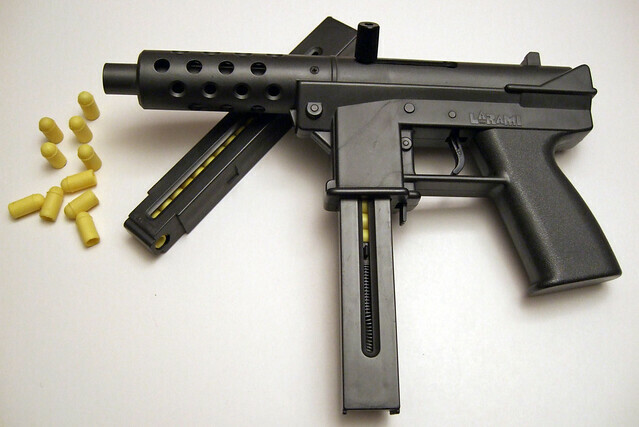 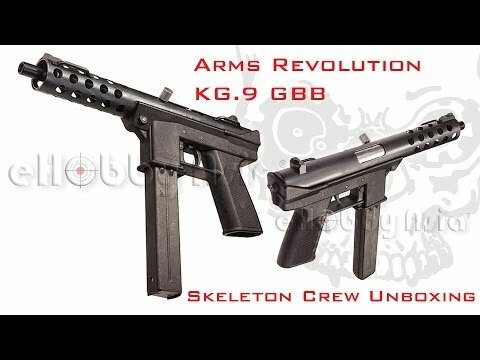 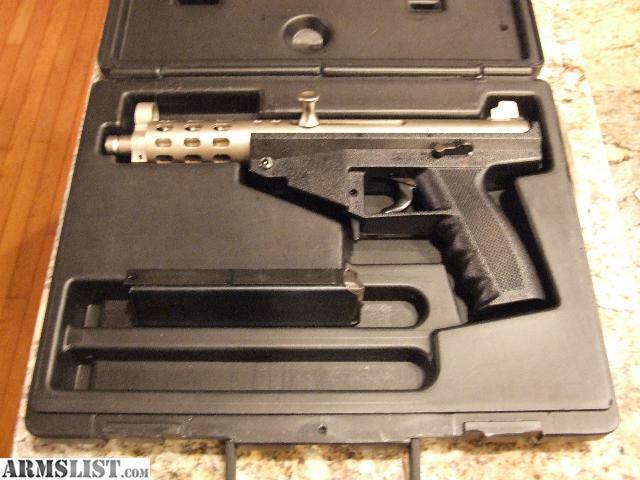 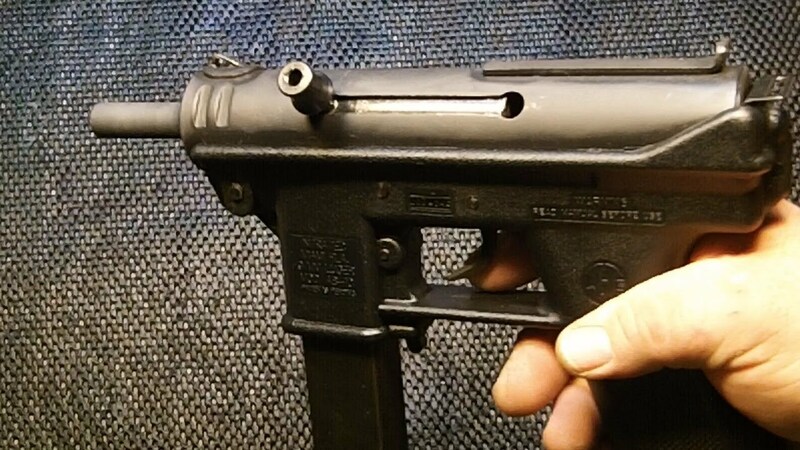 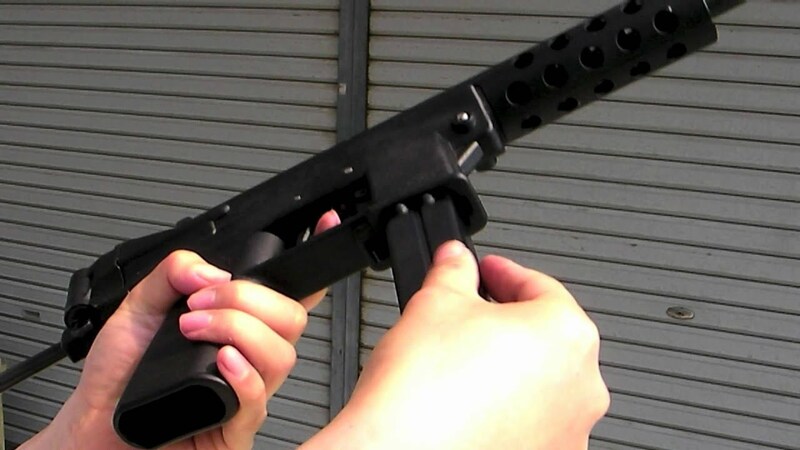 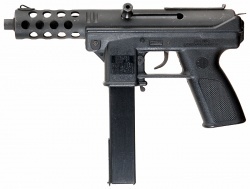 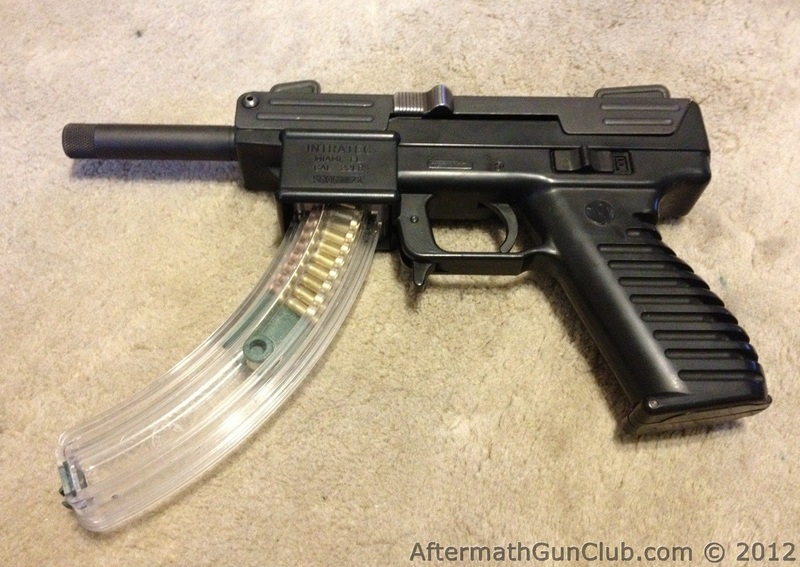 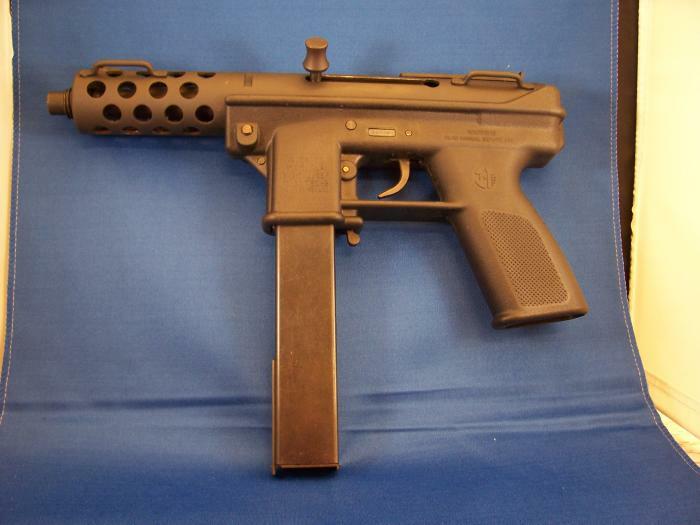 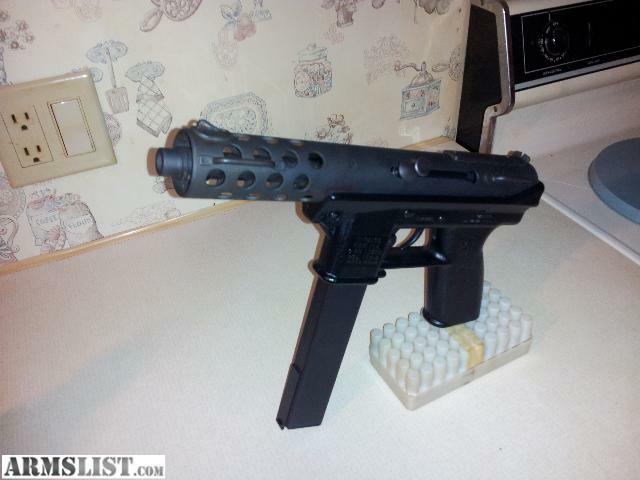 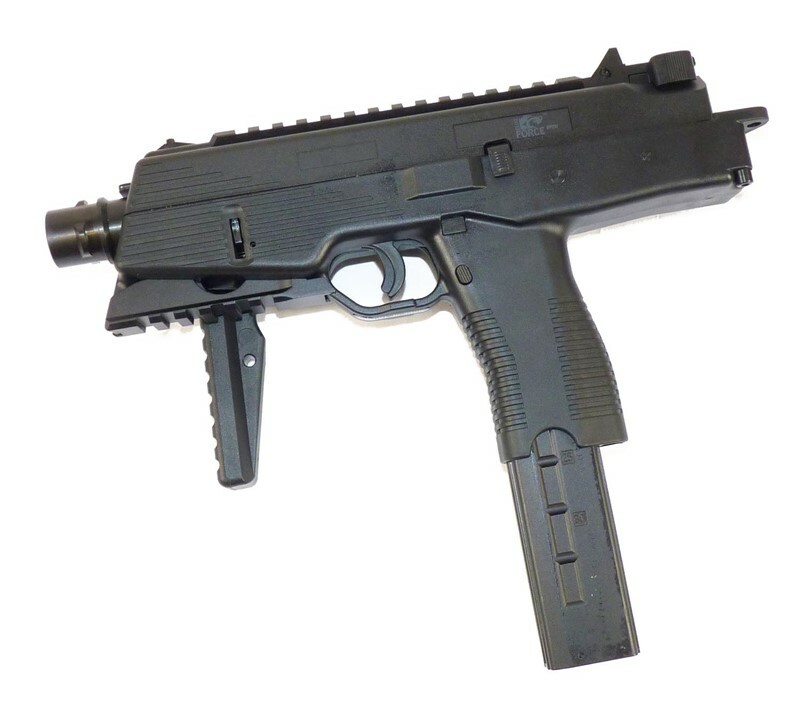 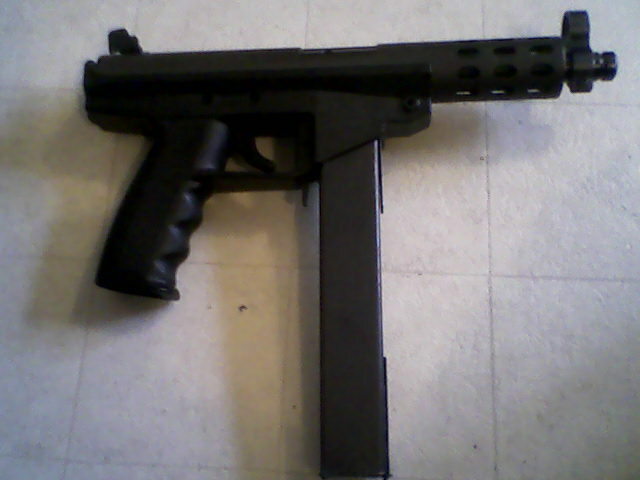 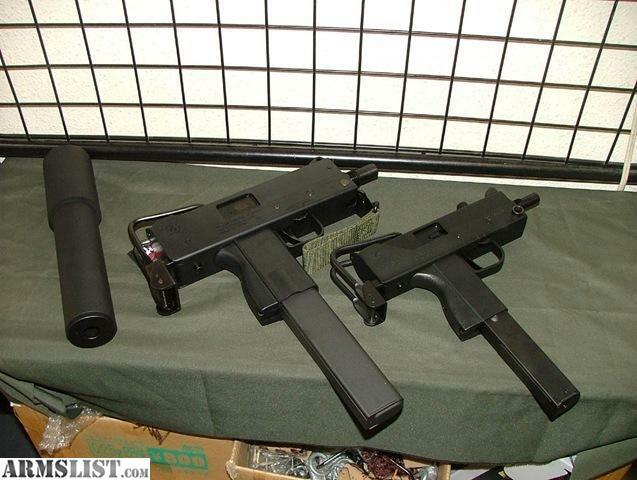 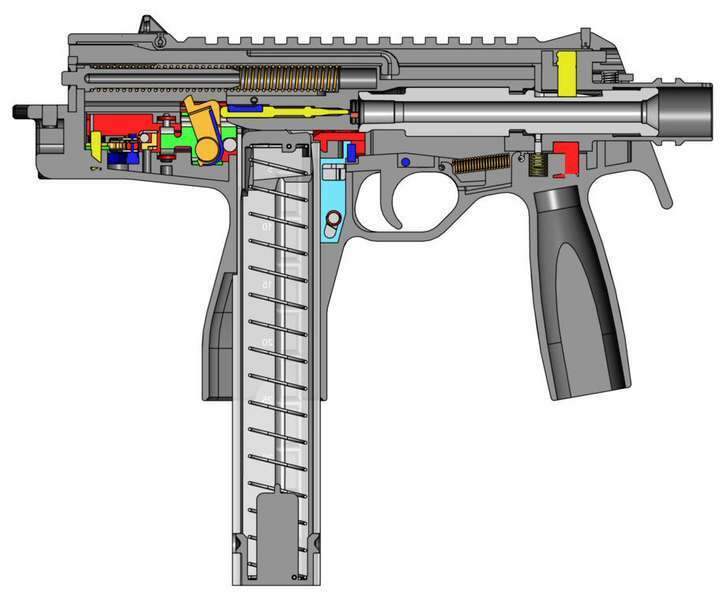 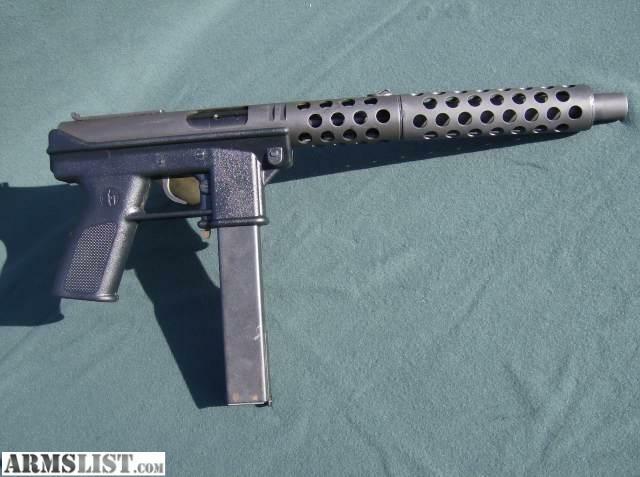 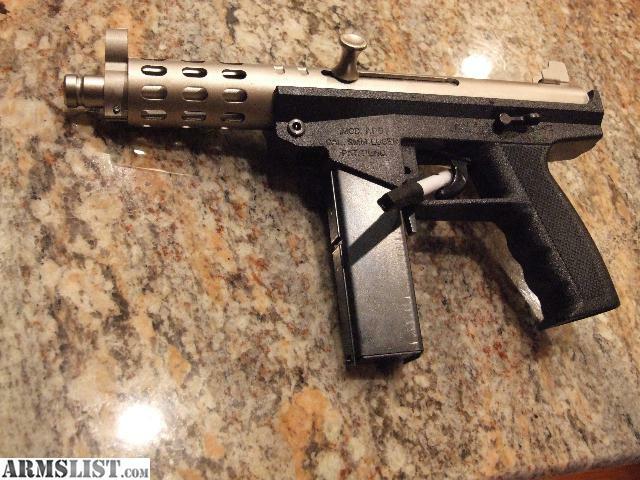 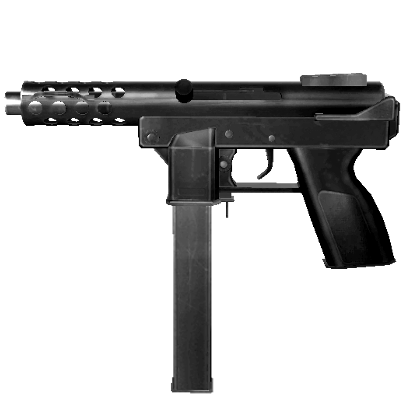 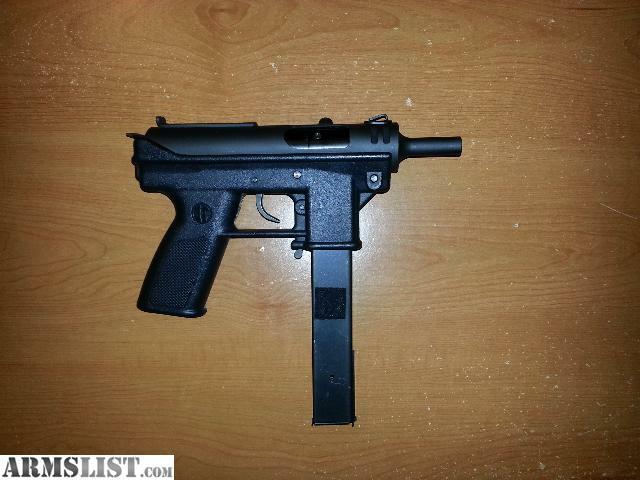 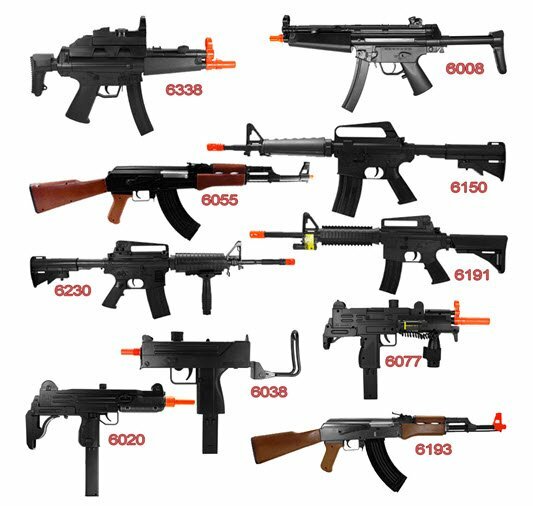 The Intratec TEC-9, TEC-DC9, KG-99 or AB-10 is a blowback-operated semi-automatic pistol. 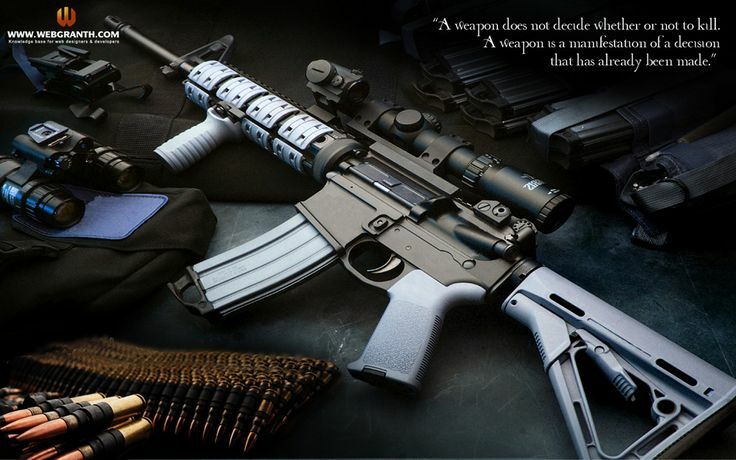 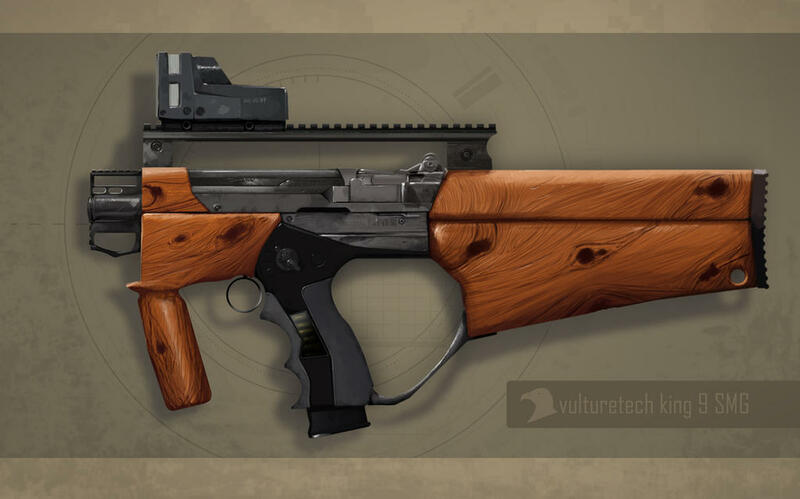 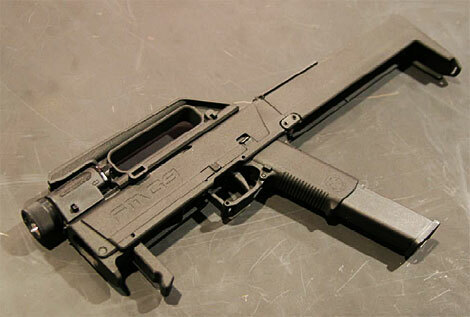 It was developed by Intratec, an American subsidiary of the Swedish firearms manufacturer Interdynamic AB. 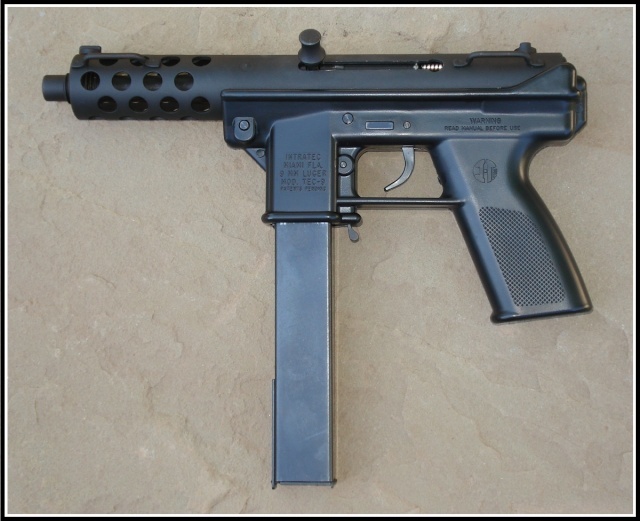 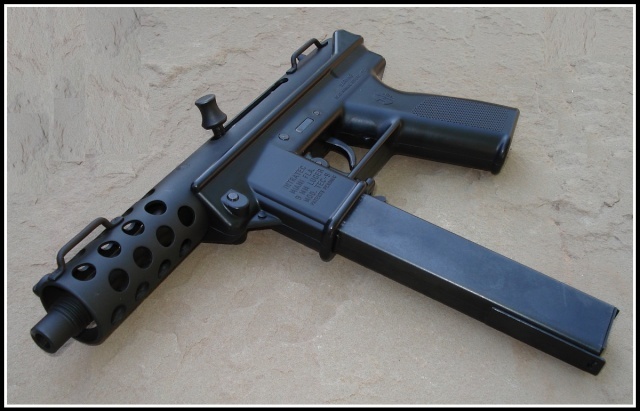 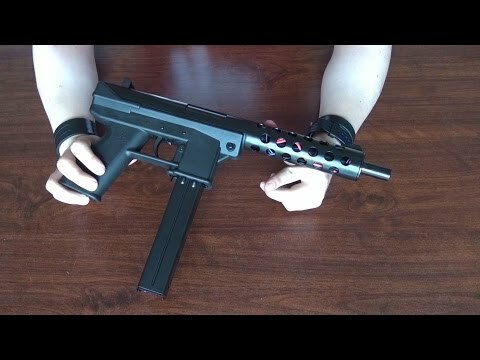 Introduced in 1985, the TEC-9 was made of inexpensive molded polymers and a mixture of stamped and milled steel parts, and the simple design of the gun made it easy to repair and modify. 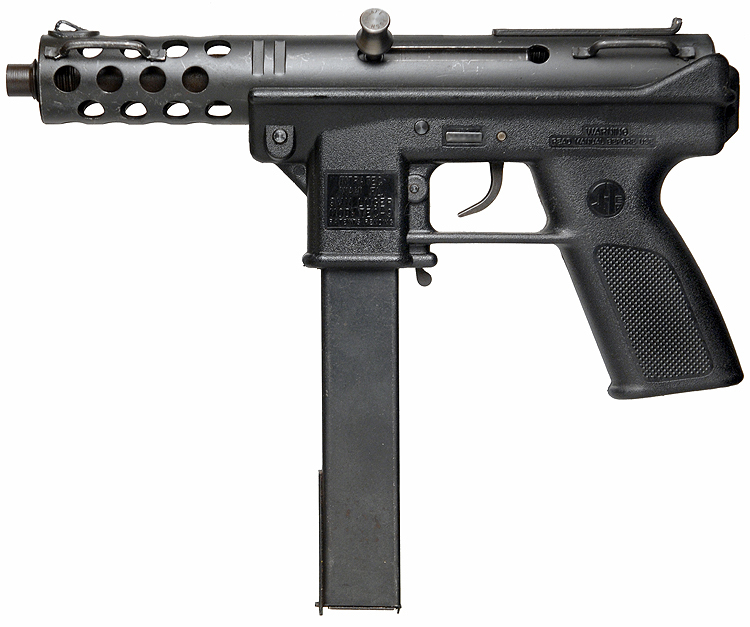 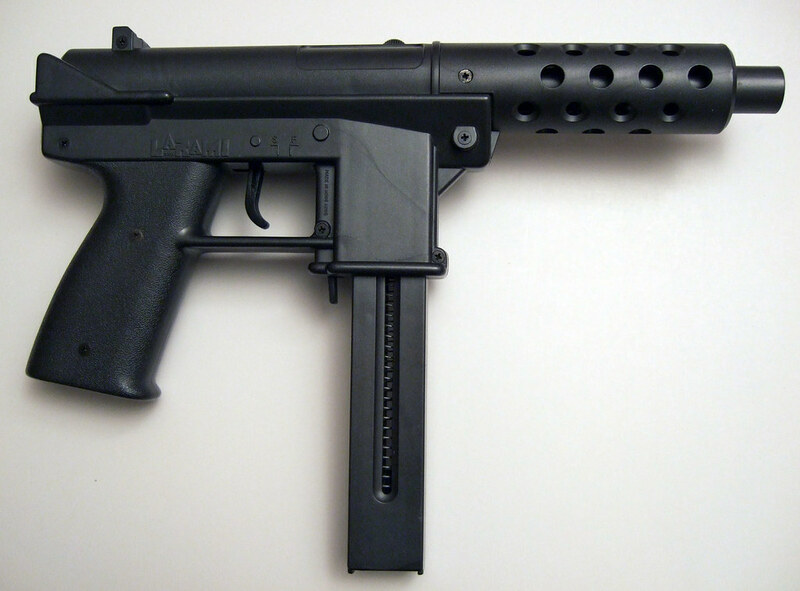 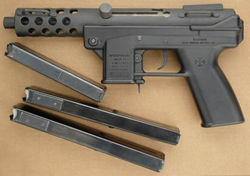 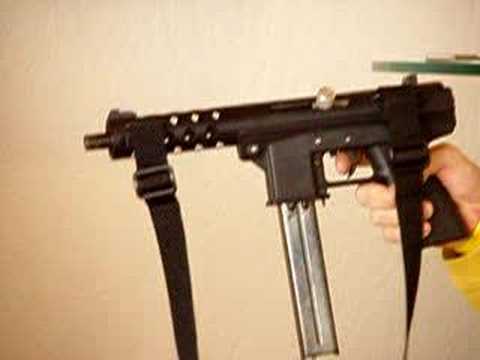 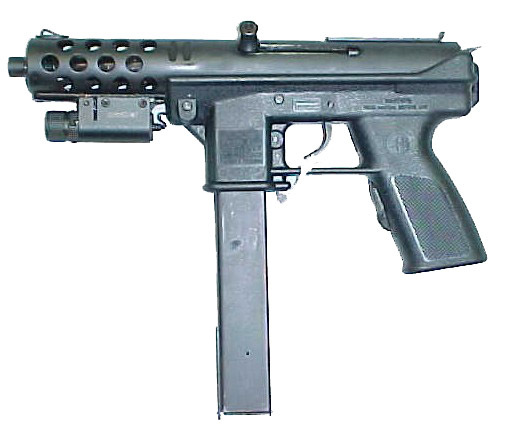 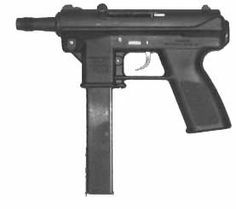 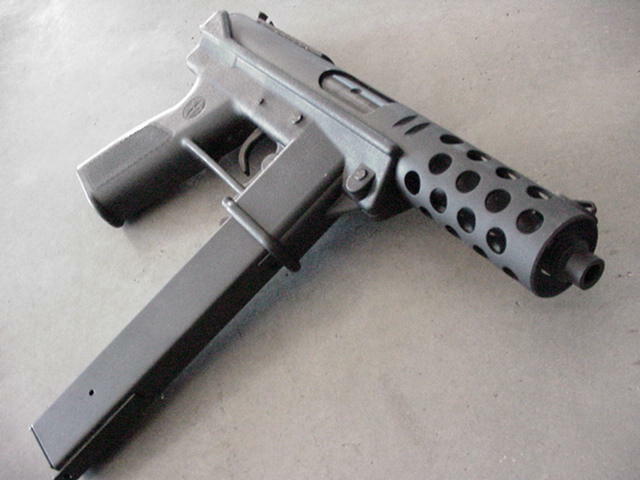 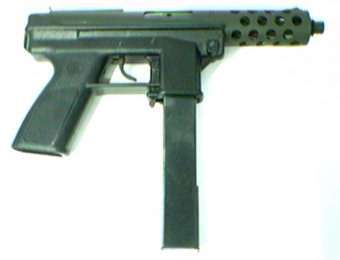 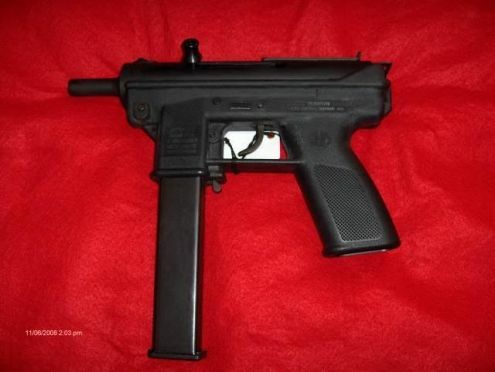 The TEC-9 developed a negative reputation for its association with organized crime and mass shootings in the 1990s. 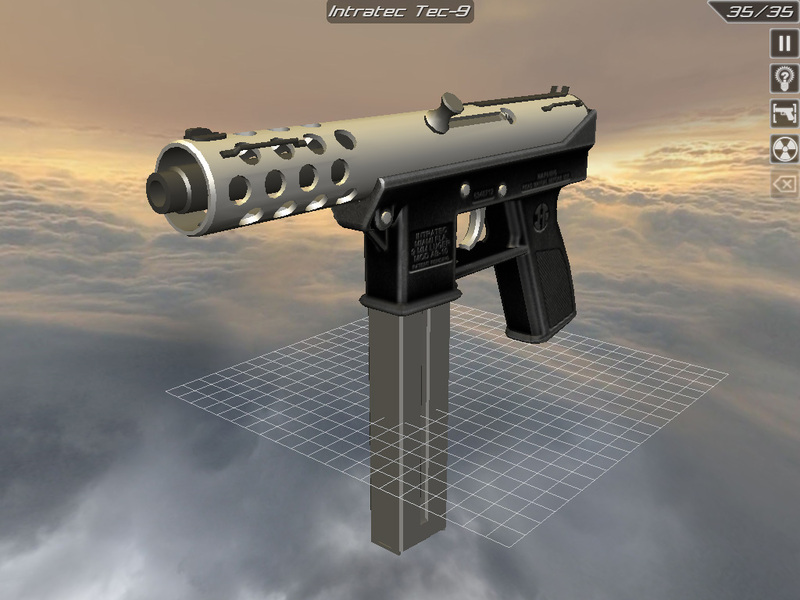 However, it was a commercial success, and over 250,000 copies were produced until Intratec dissolved in 2001.